Superior homes, a real estate developer has put up over 700 units in Athi river area in the outskirts of Nairobi. The main source of water is borehole characterized by high levels of dissolved salts and minerals above the recommended WHO standards making the water unsuitable for consumption. The capital cost of building a treatment plant for this population proved extremely expensive. The anticipated operation and maintenance costs were also prohibitive. 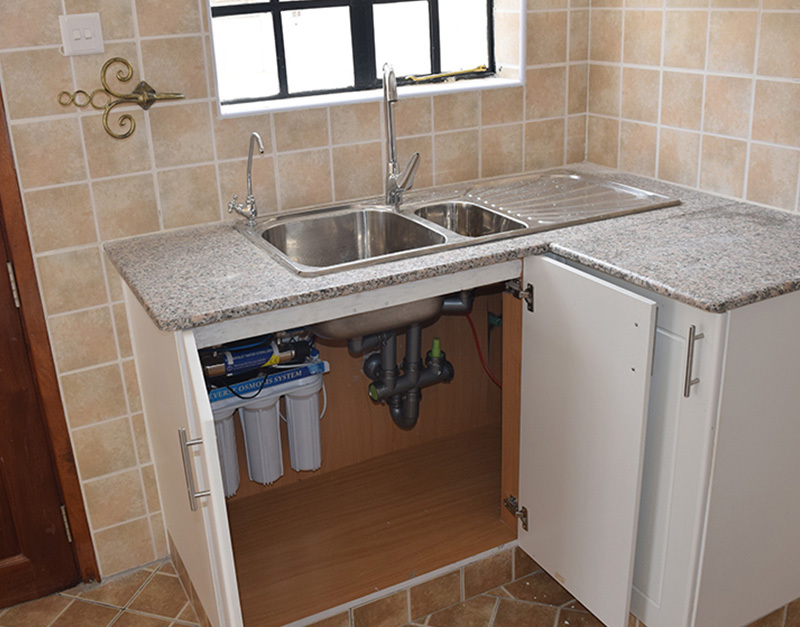 Epicenter Africa installed 400 mini reverse osmosis units fitted under the sink in every home with a daily capacity of 400 litres of purified drinking water. This solution has provided savings of up to Kes.4,000 monthly per home to the residents on household budgets for bottled drinking and cooking water. Health benefits have also been realized from the fluorides, hardness and other harmful minerals in the water removed. The value of these homes has also gone up significantly. The firm has a staff camp housing about 300 people. The camp was faced with the challenge of water shortage and the available water from the borehole contained high level of salts. 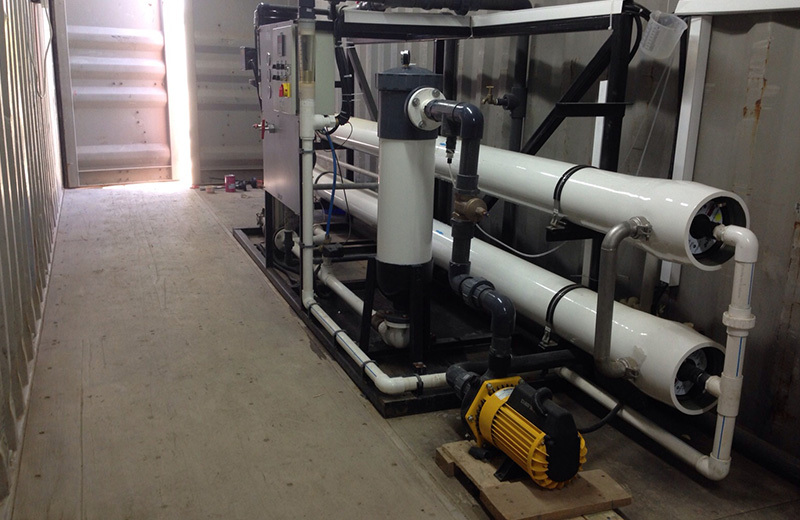 Epicenter Africa then stepped in to offer a solution of installing a Reverse Osmosis plant with a capacity of 8,000 liters of water per hour. With this solution the staff living in the camp have constant supply of clean water. The firm has also saved on costs in buying clean water. There is also the advantage of longer lifetime for appliances such as sinks, and shower heads as the treated water does not scale or foul.